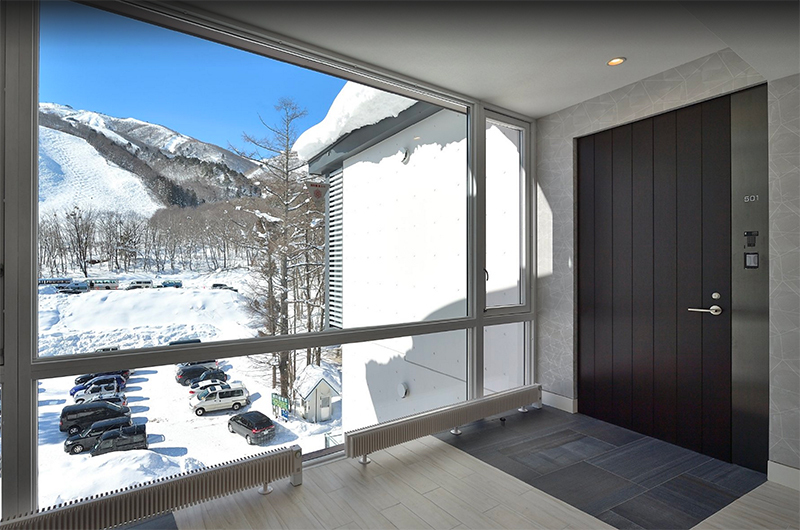 Mountain Side is a brand new condo completed in January 2017 offering guests luxurious style right across the road from the Kokusai lift of Happo One. With huge, spacious living areas and three ensuite bedrooms in each apartment, Mountain Side adds another modern accommodation option to this popular area. 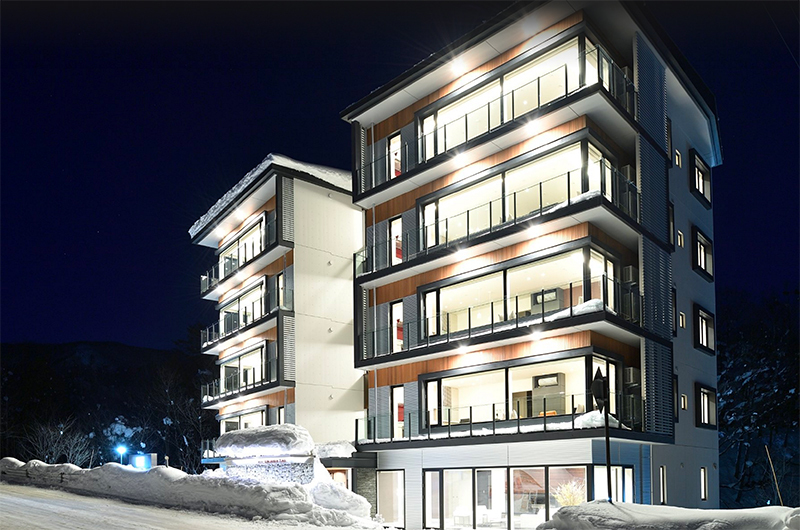 This style bridges the gap between Hakuba’s older accommodation and the new wave of chalets and apartments new being built in Hakuba. 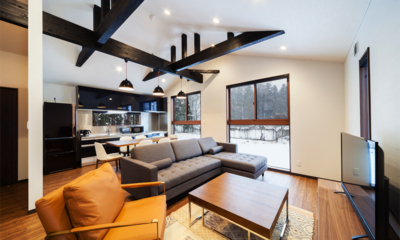 While plenty of old hotels, apartments and chalets are being renovated to a very comfortable standard, Mountain Side takes a bold leap forward providing brand new high-level Western-style apartments for the first time. 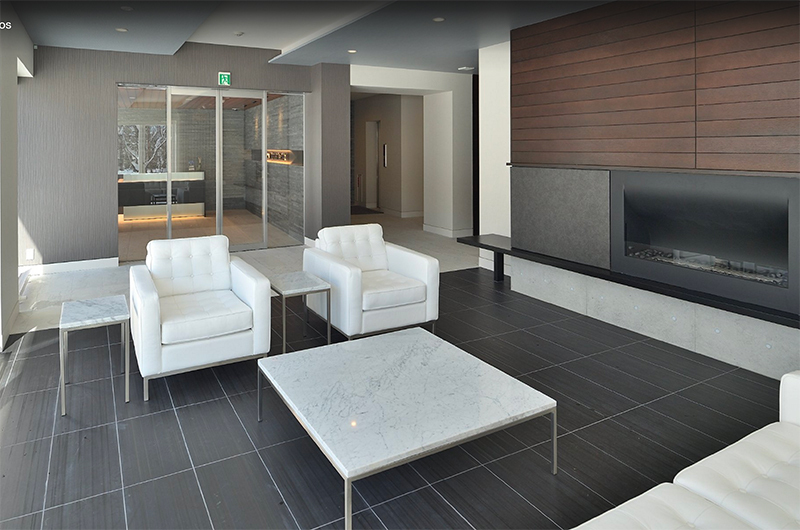 From the moment you pull into the drive and step into the stunning alpine lobby where you will be greeted by the onsite concierge, you feel the quality of the building and hospitality Mountain Side affords. 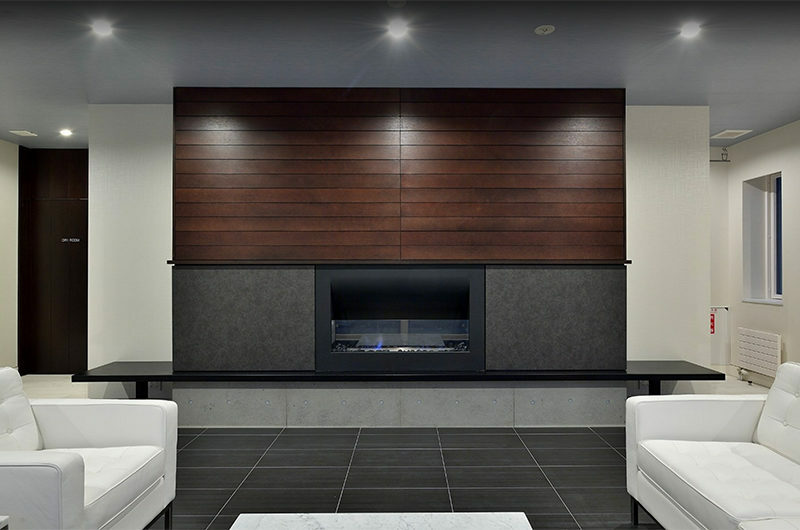 State-of-the-art keypad security entry to each apartment gives a taste of what’s to come. 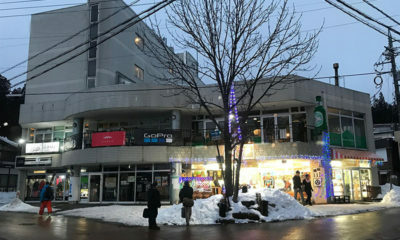 There are two apartments on each floor, with their entrances either side of the elevator, making staying with larger groups extremely convenient. 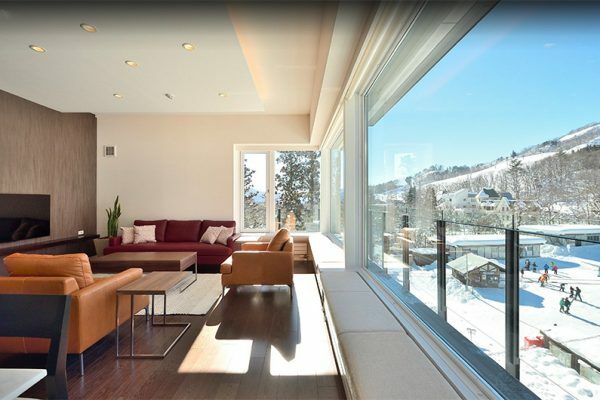 The ski-hill facing half of the apartments are home to living, dining and kitchen. 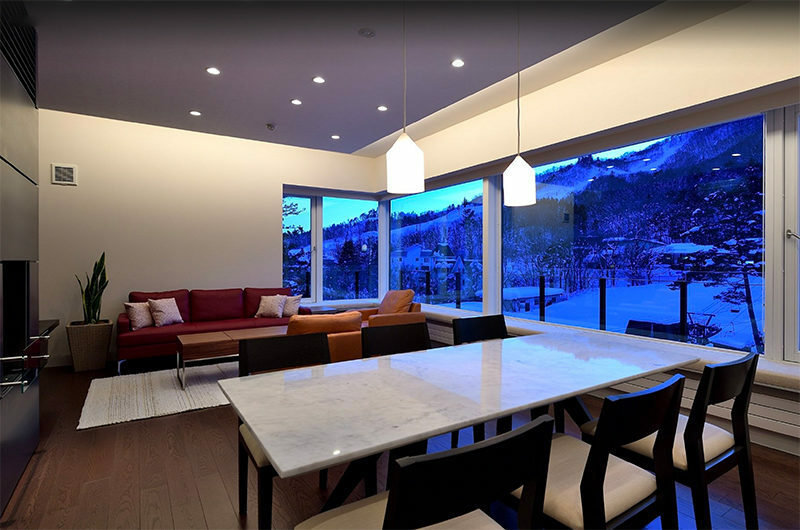 With hardwood floors, 2700mm high ceilings, full-height windows looking out onto the ski field, gas fireplace with stone hearth, and of course entertainment, this is a luxurious space to spread out, relax and entertain. 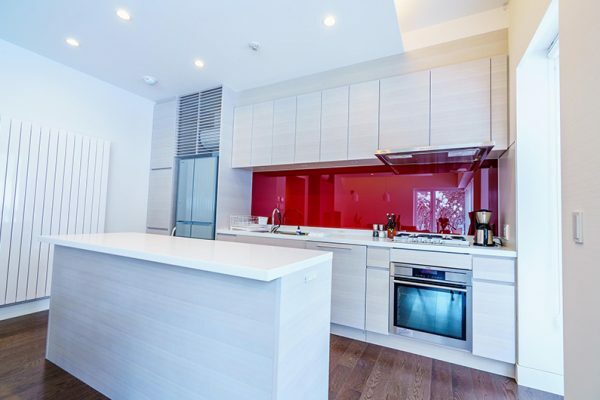 The kitchens feature appliances by Rinnai and AEG as well as Nespresso coffee makers, and are designed around oversized island benches with breakfast bar seating, perfect for eating light meals, conversations and food preparation. 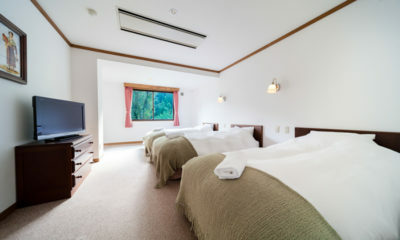 Mountain Side’s apartments all have 3 bedrooms, with every bedroom having its own ensuite – a lovely touch. All beds are split king-size, allowing for twin single or king double configuration. 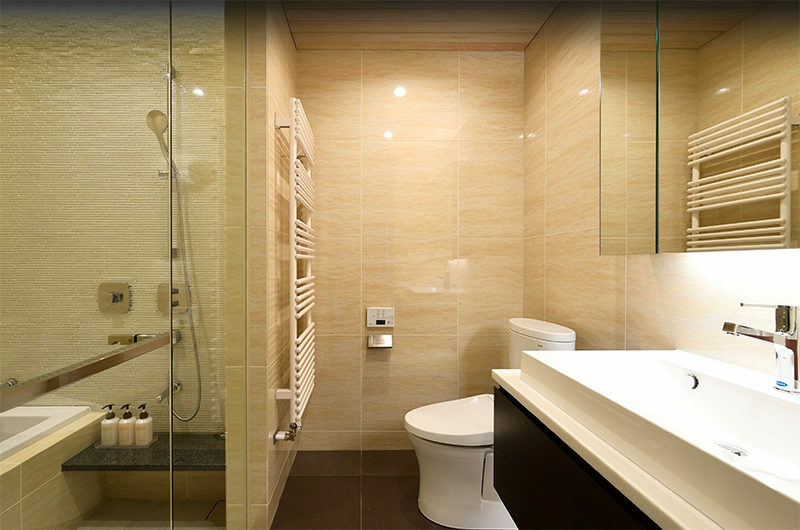 Bedrooms and bathrooms are similarly spacious and luxurious, with 100% wool carpets and split king-size hotel beds with top quality linen adding a sense of homely comfort. 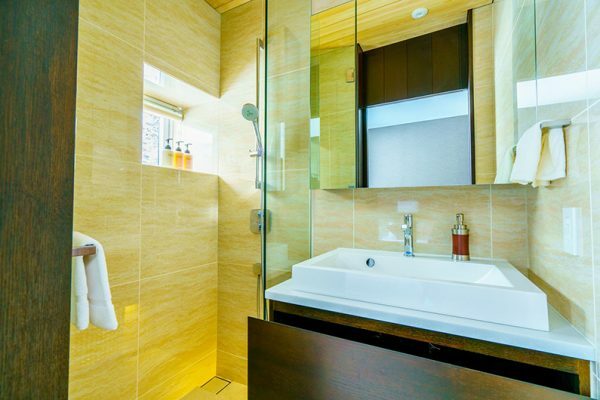 In the bathrooms are deep bathtubs, Corian countertops, toilets with electronic shower functions and quality plumbing Japanese fixtures. As for entertainment, the large flat-screen TVs come with Apple TV, blue tooth and high-quality speakers. 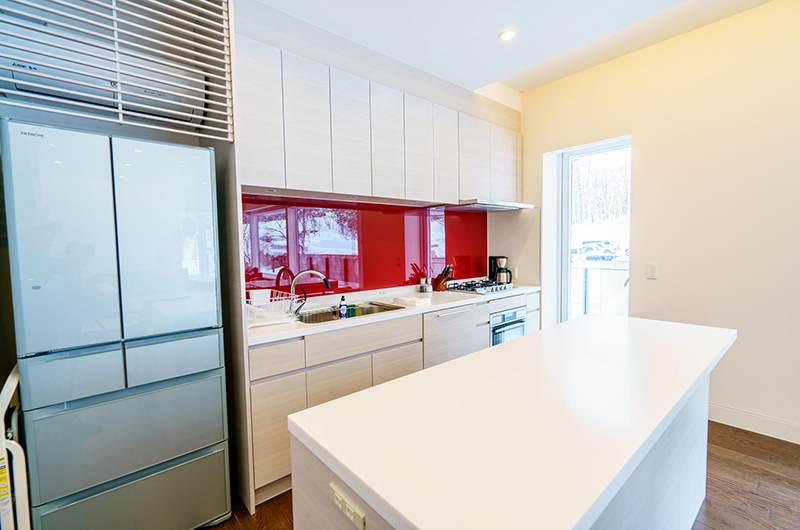 Throughout the apartments are plenty of power sockets for charging phones, computers and all your other electronic ski essentials like your GoPro cameras and electronic boot warmers. 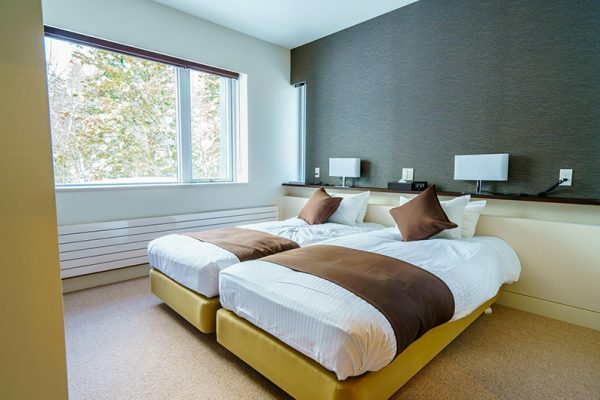 Each apartment has laundry facilities and the building also has a modern ski drying room with secure storage. All apartments are laid out with an open-plan living area facing towards the ski slopes, with a full-feature kitchen, dining and living areas spaced out. 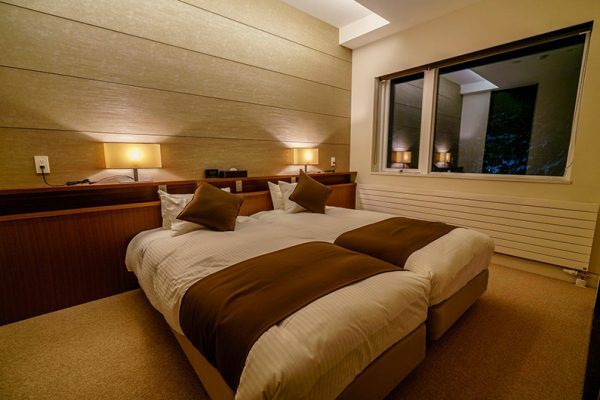 Each bedroom features king split bedding that can be arranged either as one king or two single beds. The management makes one and two bedroom options available by locking off additional bedrooms. 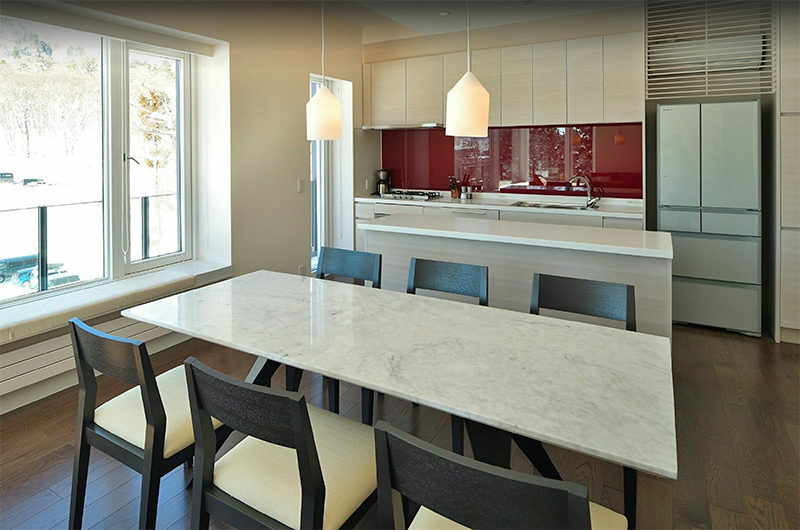 All the apartment’s main facilities are still available: full-featured kitchen, dining and living rooms. 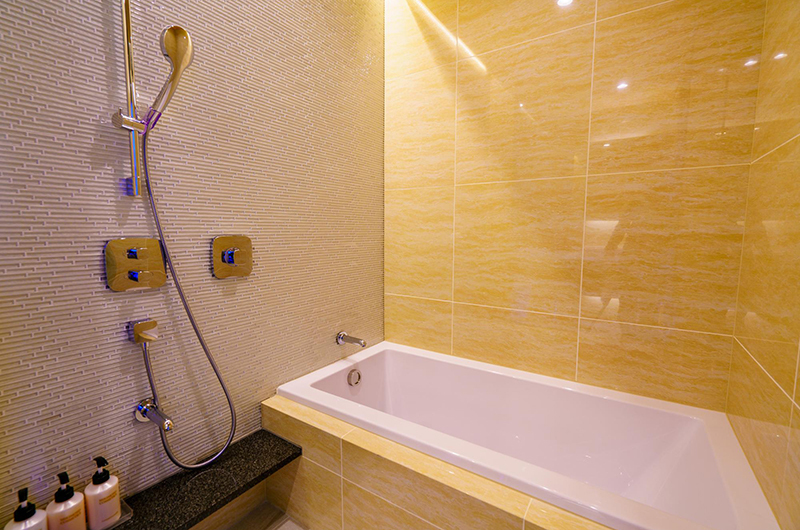 In the one-bedroom option, the master bedroom remains available with en-suite shower and bath. 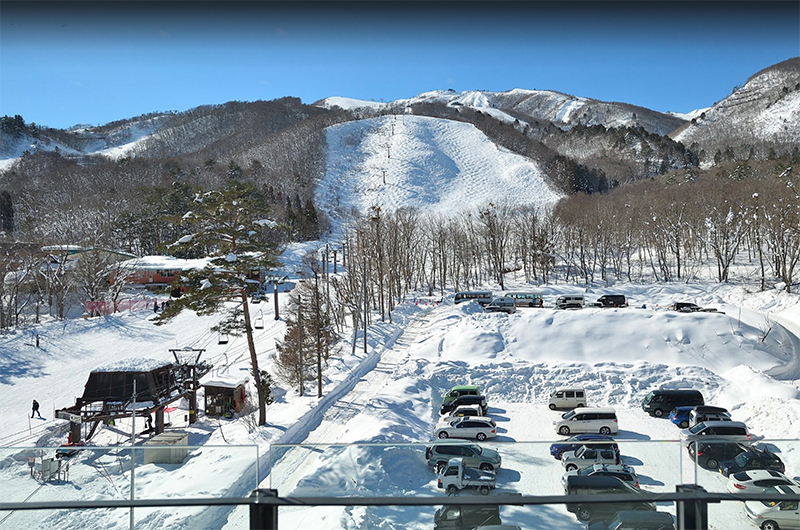 Mountain Side is incredibly close to the lifts of Happo Kokusai, with the ski resort base literally across the road. 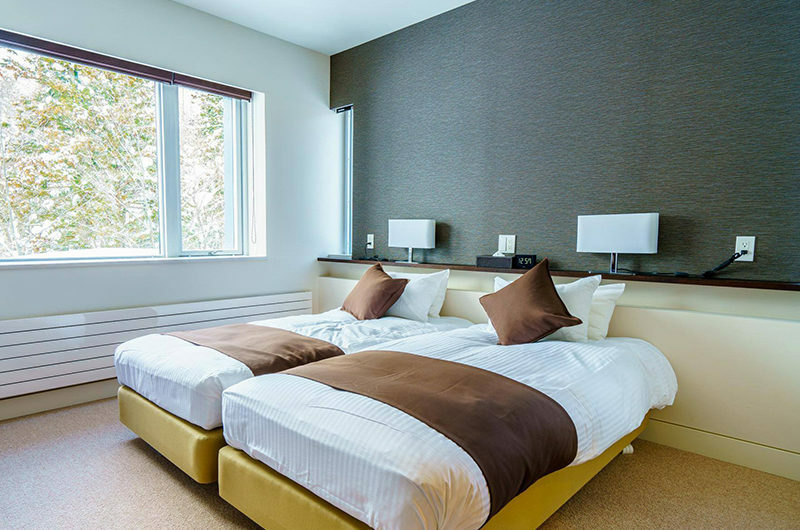 In the Hakuba Valley even properties close to the ski lifts still have generous green areas around them, so you can enjoy forest vistas from your apartment with conveniences nearby. 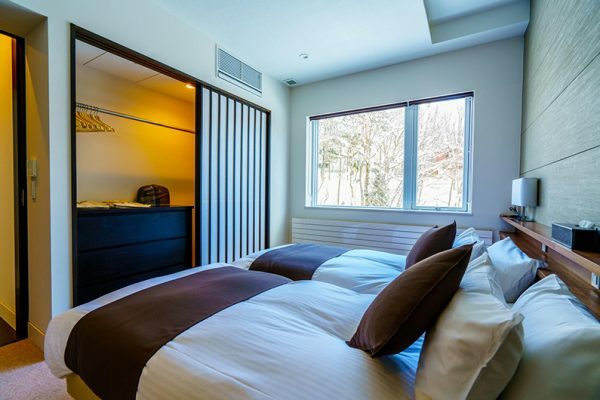 Mountain Side is situated directly across the road and just 50m walk from where you can board the Happo Kokusai ski lift, just above the top part of of Happo Village. The Evergreen Ski School is located right at the base of the slope here. 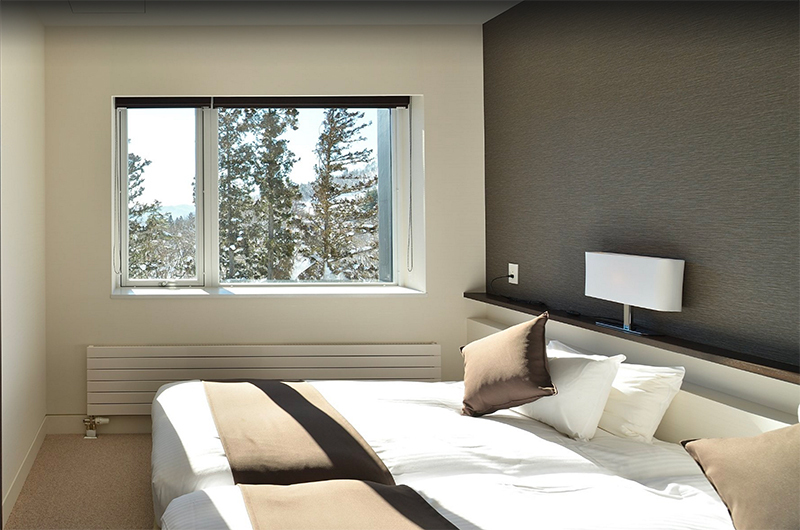 The Mominoki Hotel and Visitor Centre and Rhythm Snowsports ski and snowboard rental shop is located just 200m away. 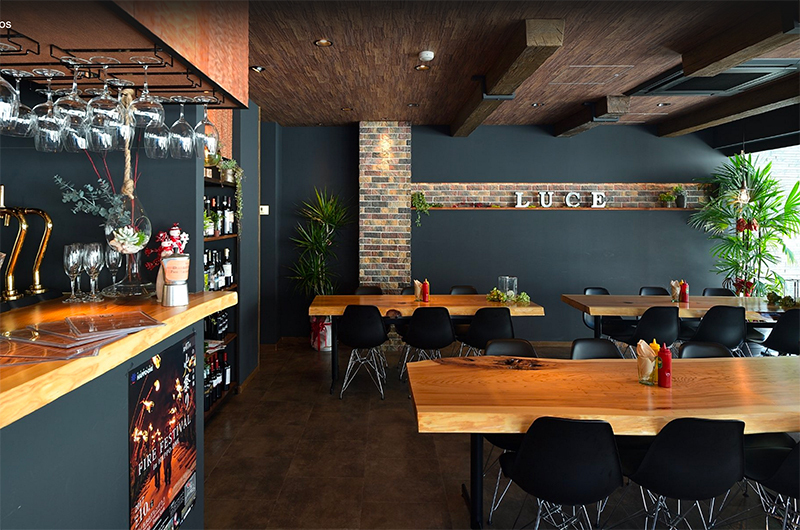 There is an excellent in-house restaurant – Luce – inside Mountain Side, and a short walk down into Happo Village opens up plenty more drinking, dining and entertainment options. Fantastic location, could not be closer to the Kokusai lift, from which you can easily access all of the Happo-One ski course. Great view of the whole Happo-One ski area & wonderfully warm service. 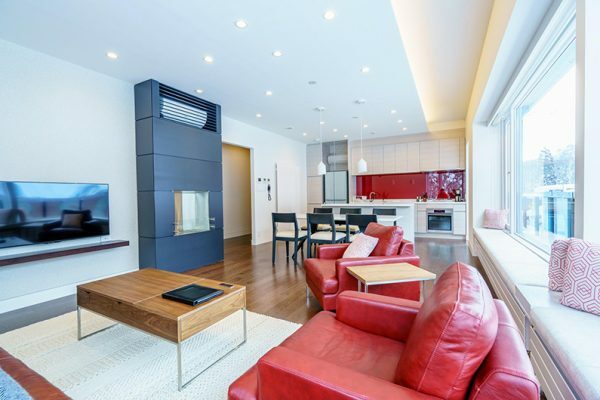 Beautifully appointed, new, & large apartments. 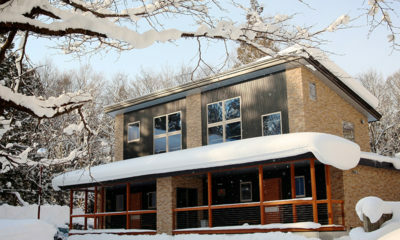 So unbelievably convenient for us with the evergreen daycare and ski school across the road. Restaurants within walking distance or they have a shuttle. 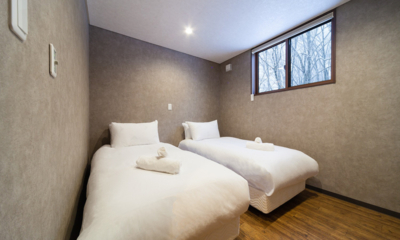 There is no better accommodation in Happo-One frankly. Highly recommend: Roots Cafe (for lunch, which is across the road), Maeda (awesome noodles), and Denenshi (a very special experience!). 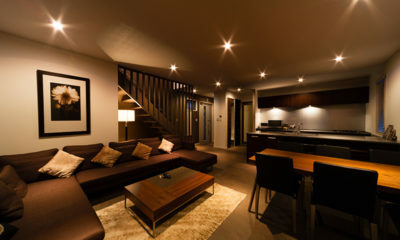 We have just had the most fantastic stay at Mountainside Apartments. 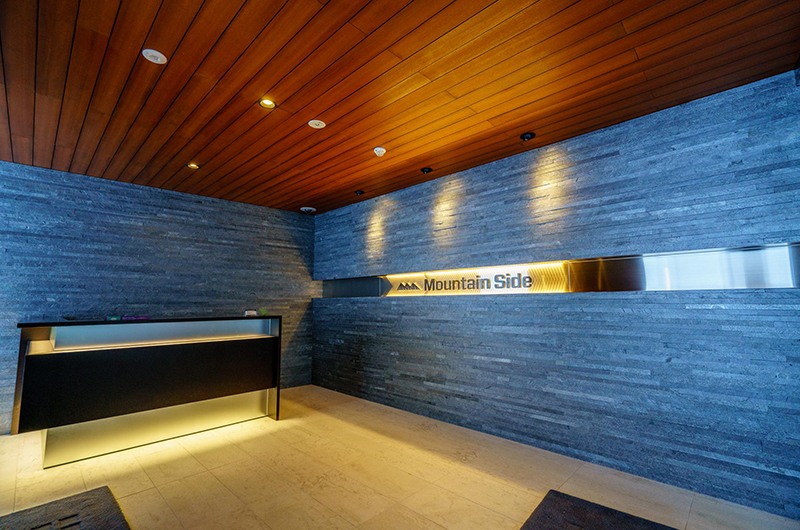 We originally choose Mountainside as it was the closest to a ski school (Evergreen International) and wanted to make morning drop offs as easy as possible. 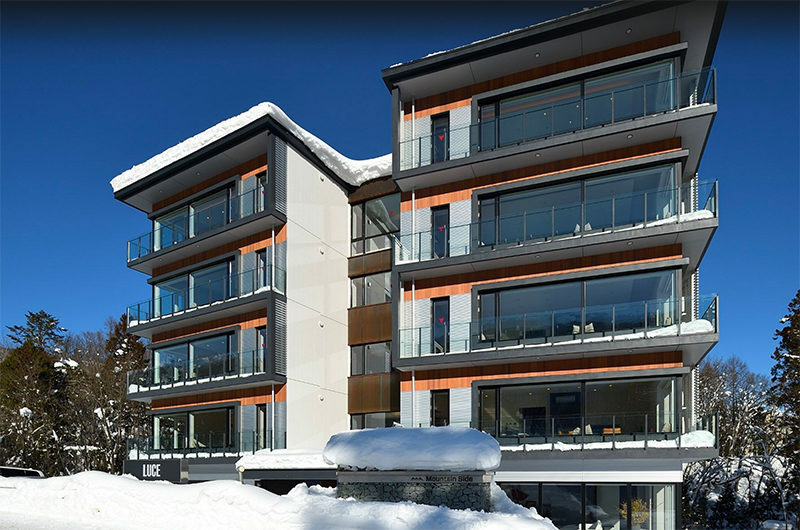 While we were worried we would be a little ‘out of the action’ of the main village there were still some great places within walking distance (Hummingbird and Rhythm Ski Store for great coffee, ski hire and boots). 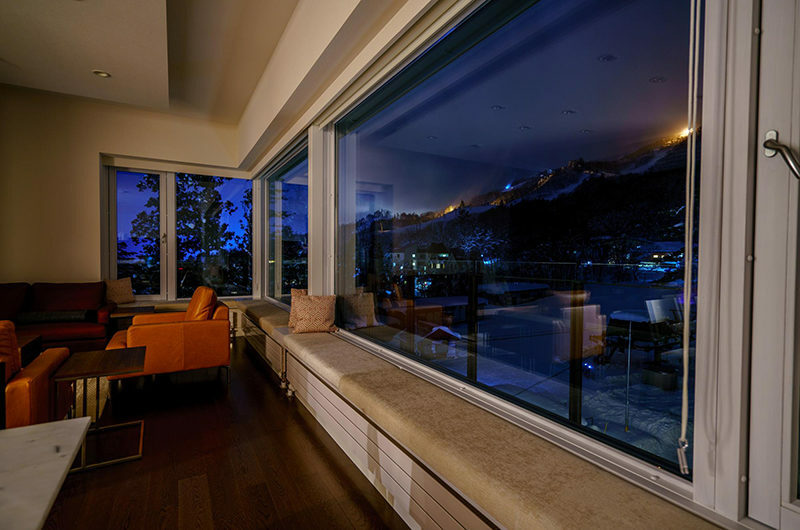 The shuttle service for Mountainside made everything effortless – from the morning coffee run to dinners and even door to lift service when exploring the other nearby resorts. 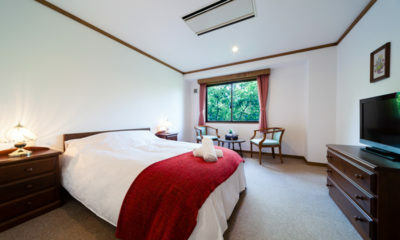 The concierge service was so helpful with some fantastic dinner recommendations and assistance with swapping tour dates and booking the best private Onsen. The accommodation itself was perfect for 2 couples and a child. 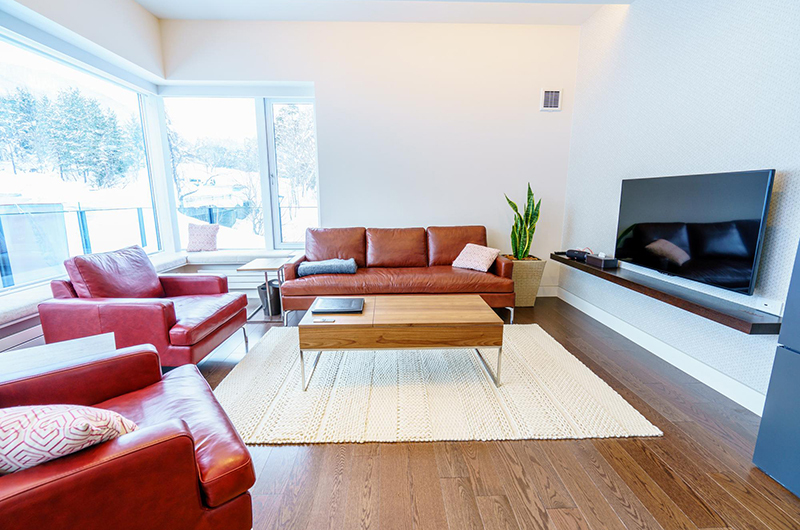 Everything is immaculate as expected as it’s brand new. 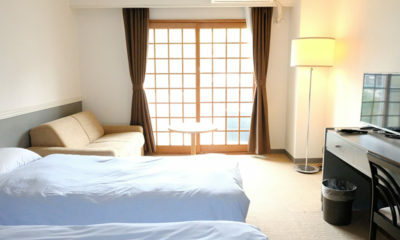 It is large by Japanese standards and very comfortable. The amazing views are a bonus. The only reason I would not recommend this property is because I wouldn’t want it to be too popular and it to be booked out next year! Beautiful apartments, great location, amazing service ! This is one of the best places I have stayed at in my travels and worth the money. 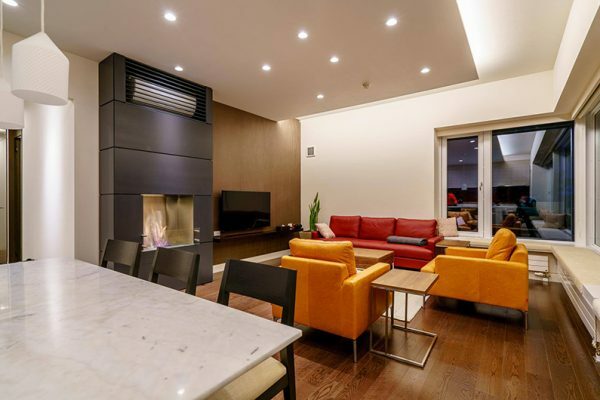 The apartments are lovely, with quality fit out and everything you need. Great location and lovely views. The service was wonderful. Kind friendly faces every morning and evening available to help with anything you require, including making recommendations and reservations for dining, onsen, ski-ing. 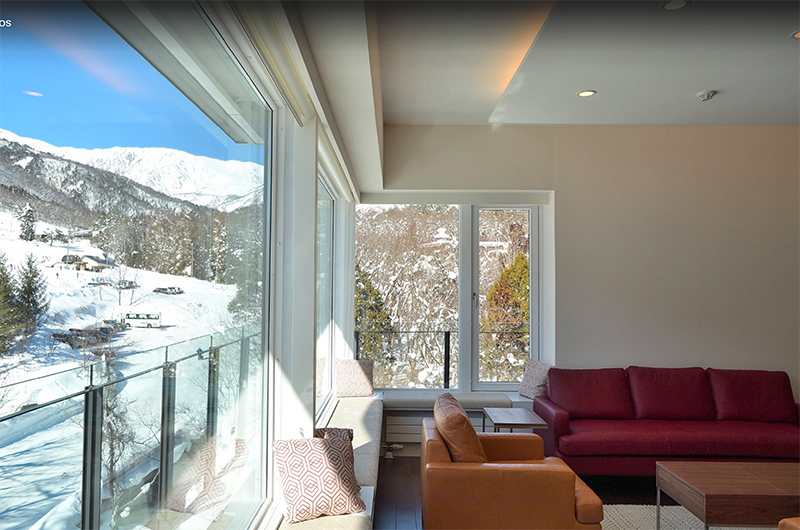 Best of all, for a spread out resort like Hakuba, were the shuttles available to take you where-ever you want, whenever you want – and a quick phone call to get them to pick you up again.